1. place chocolate melts in a small bowl and microwave for 2 minutes or until melted. Set aside to cool slightly. 2. Crush candy canes using a mortar and pestle. Place candy canes in a bowl. 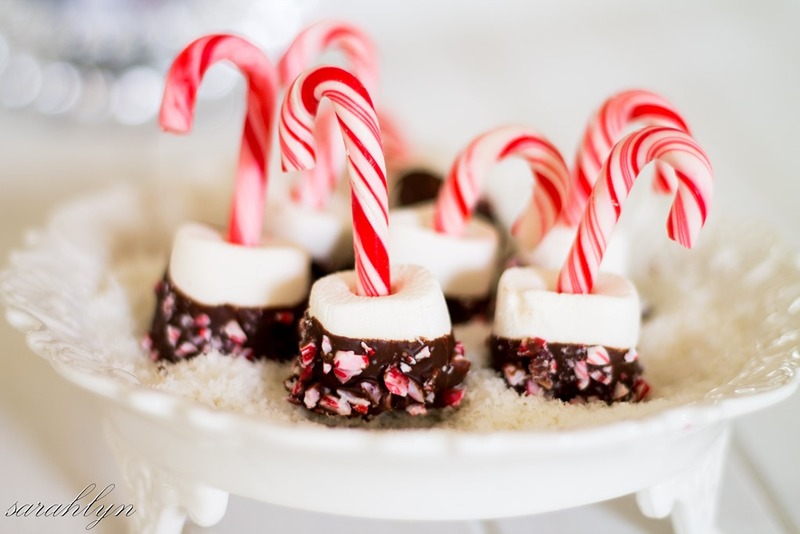 Stick a candy cane into the marshmallow and dip in the melted chocolate, gently tapping on the side of bowl to drain excess chocolate. Roll into the crushed candy cane. Place on a tray lined with baking paper. Repeat with remaining candy canes. 3. Place candy cane pops in the fridge to set. (approximately 15 minutes). Note: You can also use green or rainbow candy canes for this recipe.